The ShareFile Desktop Widget was a desktop tool that our customers loved because of its simplicity and ease of use, but it had not been updated in 5+ years. 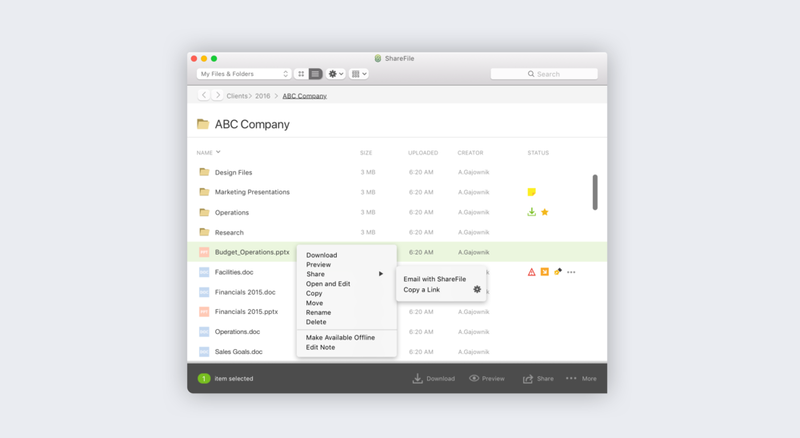 Our goal was to improve the user experience and reach feature parity with other ShareFile tools. We worked closely with Engineering and Product Management from day one. I contributed to this project through visual and interaction design, facilitating working sessions with Engineering and PM, building invision prototypes and participating in user testing sessions. I designed for both Windows and Mac platforms and supported both engineering teams. Desktop Widget for both Mac & Windows platforms (2014).